There are two ways you can apply to train to be a teacher at Prince Bishops. The first is via 'School Direct'. This is a school-led training course that gives you the chance to learn 'on the job' in a school within Durham Teaching School Alliance. You work as part of the teaching team in a similar way to student medics in hospitals – learning from experienced, practising colleagues and immediately putting your new skills into practice. The second way is through High Force Education School Centred Initial Teacher Training (SCITT). Prince Bishops is a partner in High Force SCITT which means that the headteacher is a professional tutor and there are two experienced school based mentors that will guide and support you through your training. Both routes have the same school placements and professional development days at base in Barnard Castle. 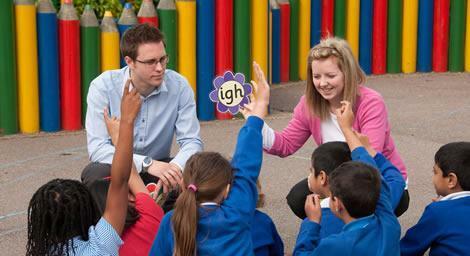 They both lead to Qualified Teacher Status (QTS) and a Post Graduate Certificate of Education (PGCE). We are looking for graduates with good degrees and a passion for making a difference in the lives of children to train with us. You can apply through UCAS. If you have any questions or require further information, please contact Joe Sonnenfeld (Teaching School Manager) on 01388 451278.